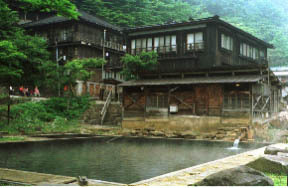 The wooden Ryokan and this side which will consist of four buildings, such as a building of a Structured, for Ansei five years are "hot water of swimming." 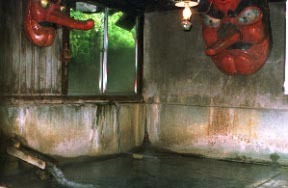 It looks at "a tengu's hot water" where many votive pictures of easy delivery prayer were covered, and trees on the opposite shore, and is at the feel-comfortable time. 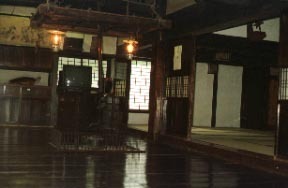 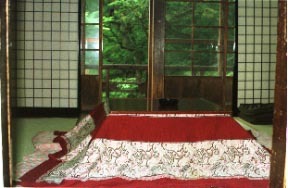 It is a foreigner Mr. purveyor's guest room in the warm "Matsu" of an old tree, and a Take. 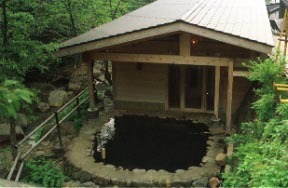 Open bath "hot water of dry river bed" seperated.